LiDAR | SAAR IT Resources Pvt. Ltd.
1. Data can be collected quickly with very high accuracy. 2. Collect elevation data in a dense forest, where photogrammetry fails to reveal the accurate terrain surface due to dense canopy cover. 3. Lidar does not have any geometric distortions like a side-looking radar. 4. 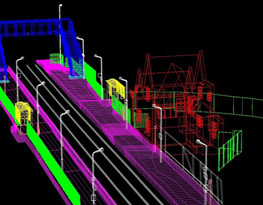 Lidar can be integrated with other data sources. The 2D buildings footprints are detected and extracted either from LiDAR data or the combination of LiDAR and orthophotos data. SAAR Geospatial team has state of art technology and experience to get you best results in 3D Modeling. 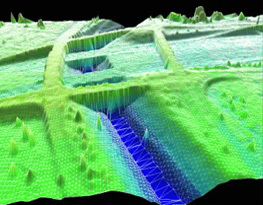 SAAR Geospatial team has state of art technology and experience to get you best results in Terrain Modelling. SAAR Geospatial endeavour to provide best-in-class services. 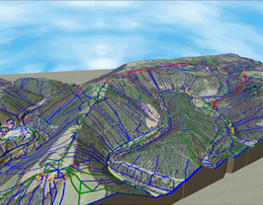 We have a proven track record in Terrain Modelling and can on-board such assignments even with higher volumes.